Looking to speed up the cooking process of steaks, burgers, bacon, and other meats? Use this steak weight to lightly press steaks and other meats flat to the grill while also using the heat stored in the weight itself to cook the other side! 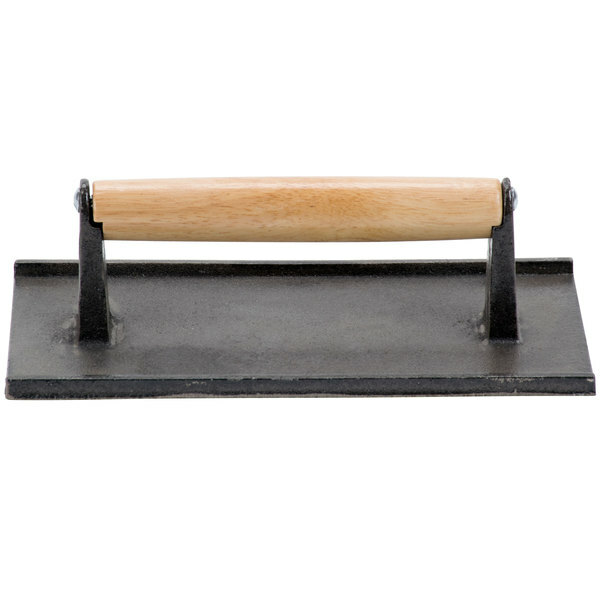 Also known as a steak press, this 9 1/2" x 5 3/4" cast iron steak weight comes with a wood handle for added safety. 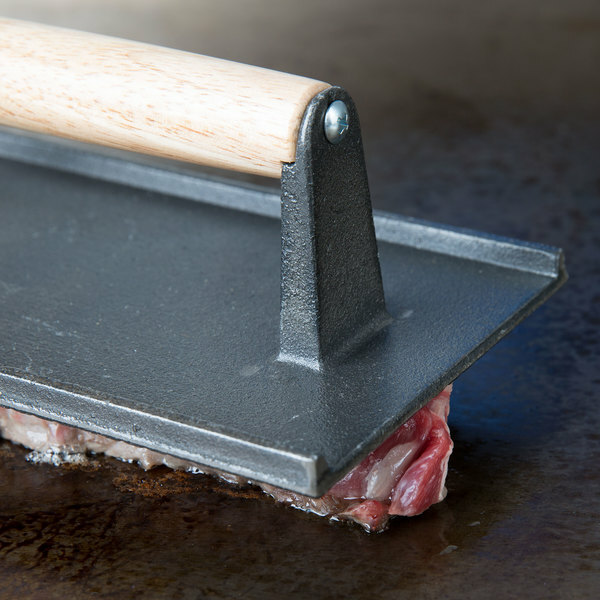 This steak weight is also useful for cooking bacon and keeping it flat on your griddle top for perfectly straight, uncurled bacon strips! Whether you're looking to press the perfect burger or just want to cut down on cooking times for your meat items, this steak weight will do the trick. This weight is fairly heavy and has a good texture on the side. I like the wooden handle, and I also like the size - not too small. This is a great item for your burgers. We also use for our footlong dogs and chicken. Nice and heavy for the job. Handle gets a little warm but not too bad. Before I bought the light one?it doesn't work well?But when I got this?that works much better?Whatever turkey?steak?salmon or other meat?all works?It can squaze all the juice?and easy to fully cooked? Great weight to this press, decent construction, easy to clean. We got these for paninis as well as steaks and they work very well for both. Great for making steaks on the run, allows prep time of meats to be increased without the risk of burning as long as its watched. solid product for the money we own 4 of them for our fast kitchen and not one has bailed out on us and its been 1 year. Best use for our burgers keeps the right amount of pressure you need with a really sturdy handle its a nice piece for our deli! 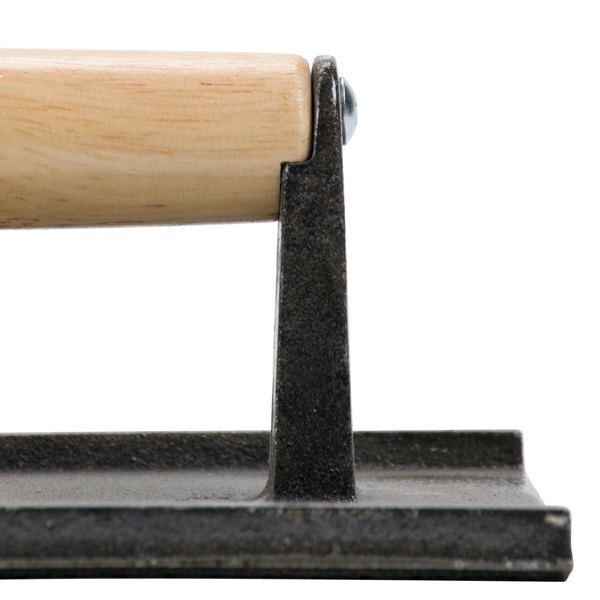 We prefer this weight over the others because of its wooden handle. Applies even pressure to food. 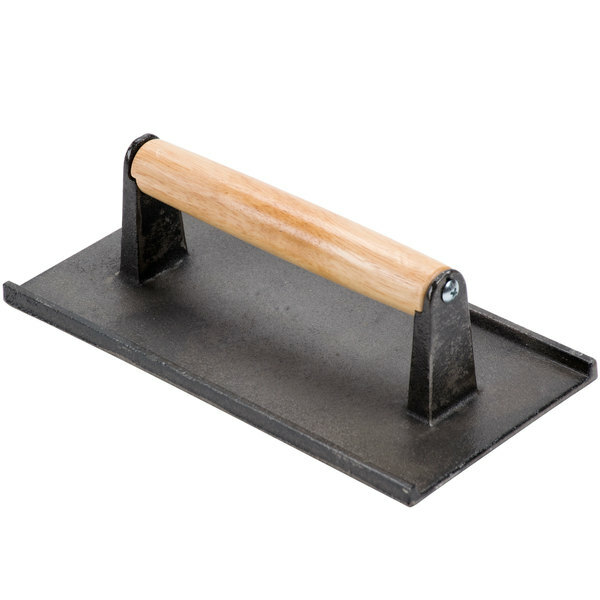 Great for pressing sausage, bacon, chicken, and more! Just the perfect weight. Just heavy enough to do the job. Used it to grill beef parries, chicken breast. Easy to clean by hand, or you can throw it in a dishwasher as well! This is great. Heavy and sturdy. Was unsure at first, but still holds well after a few months of heavy use. i would recommend this product. 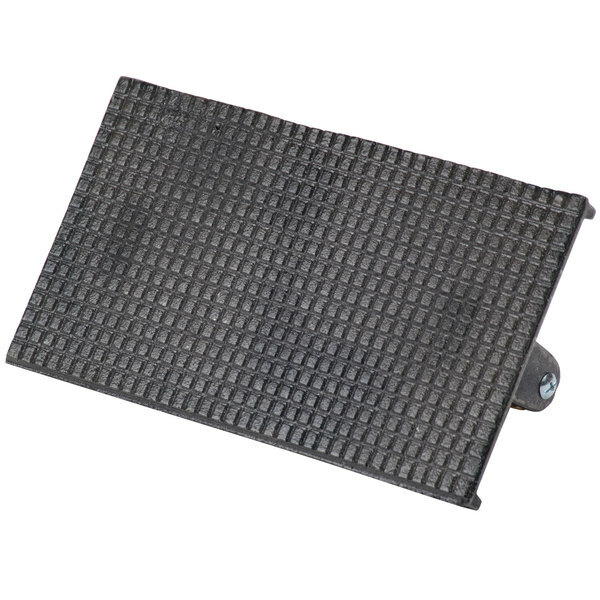 A nice grill press for any application. It cleans up nicely. It lasted longer than i expected as the wood handle gets pretty beat up over the course of a day. As long as you season this, it should last a while. 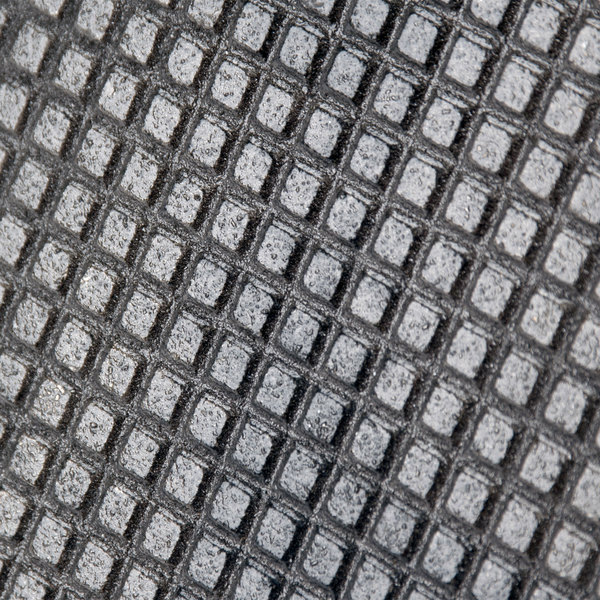 It also is nice and heavy allowing the tough crevices to get a nice char or grill mark on them. Not just a steak weight,. I use is for many uses. Today for my steak quesadilla special I grabbed it and used it for a weight to help keep the tortilla shells tight to the griddle for faster browning and quicker melting of my cheese. So I guess I did use it on steak indirectly. Great bargain for a must have item. I use it to grill sandwiches and to put a little pressure on meat to get good grill marks. Great price! This is a great tool to have in the kitchen. Works great for pressing bacon to cook it without curling and to cook it evenly. Works well, and has a great heft to it. After a lot of usage, the handle on our original was shot. So I took a look at the rice at the big box discount Depot store and then compared to Webstaurant. Half price! These weights can cover entire strips of bacon, 2 burgers at a time. Whatever your use you cannot go wrong with these heavy weights. Awesome.